"My fellow Democrats, I have vision for our state’s future, and the experience and courage to build that future." OSHKOSH, WI — Today at the Democratic Party of Wisconsin State Convention, Kelda Roys delivered a speech focusing on her positive, optimistic vision for the Wisconsin she would build as governor. Good evening. Last year, I picked up my daughter from preschool. On the way home, she told me about the new game they’d learned. She and all her classmates had to be very quiet, turn off all the lights, and hide in the corner under the playhouse so that nobody would know they were there. My daughter was describing an active shooter drill. At three years old. I greatly appreciate her teachers helping to keep her safe. But that’s not the world I want her to grow up in and I’m ready to do something about it. Every election is about the future – but this year especially, so much hangs in the balance. It’s time to build the world our kids deserve. A world safe from gun violence, yes, but one that ensures they thrive. 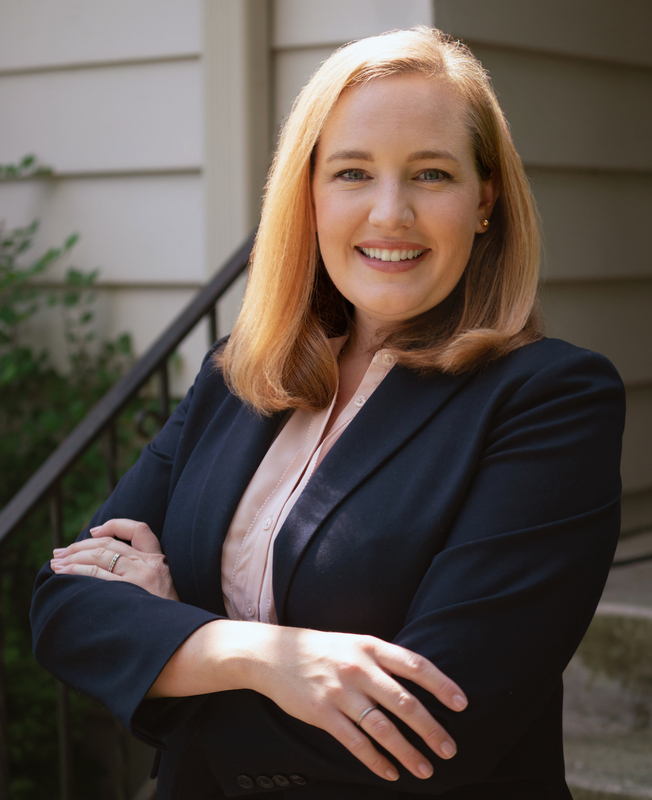 I’m Kelda Roys and I’m running for governor to build that world of opportunity and fairness for all our children and grandchildren. In our Wisconsin, every baby will be welcomed by parents who have 12 weeks of paid leave. With universal paid leave, caregivers don’t have to fear losing their job or income if they or of a loved one is sick or dying. In our Wisconsin, high quality childcare is affordable and universal early childhood education is guaranteed – so every child, from the south side of Milwaukee to the Northwoods, enters school eager to learn. Our Wisconsin will be known, not just for cheese curds and the Packers, but for the best schools in the nation, once again. Schools where children delight in each new discovery instead of being tested to exhaustion. Schools with enough funding to fuel the aspirations of every learner. Teachers treated with the professional respect they have earned. So many educators are excited about our campaign – they know I’ll stop school privatization — public money is for public education, period. Our teachers – and all workers – deserve the right to collectively bargain. That’s why, in 2010, as your Democratic caucus chair, I spent night after night in the capitol, listening to people – and even moved my office out onto the frozen ground when they locked citizens out of the capitol. In our Wisconsin, it’s time to reinvest in higher education and address the student loan debt crisis. Too many Generation Xers and Millennials have had every one of life’s milestones delayed or denied because of debt incurred before we were old enough to drink a Spotted Cow. It’s time to unleash the real power of our economy by allowing student loan refinancing, expanding public service repayment, and making all UW’s 2 year colleges tuition free. And we can do so much more. As someone who loves Wisconsin’s lakes and landscape, I know it’s time to ensure clean air and water, protect our public lands, and address climate change. As an entrepreneur who built a business from the ground up, it’s time to make sure that all workers – from family farmers to health care workers to the self-employed – earn a living wage, have affordable healthcare, and can opt in to a stable, secure public pension system. As a legislator who took on big chemical companies to protect our kids from toxins, and won – it’s time to end price-gouging by prescription drug corporations. As a lawyer, it’s time to stop the shame of being the worst state in the nation for African Americans, to end infant mortality, mass incarceration, and voter suppression. And as a mother and your next governor, it’s time to stand up to the gun manufacturers lobby and pass meaningful gun safety laws. My fellow Democrats, I have vision for our state’s future, and the experience and courage to build that future. You may have noticed — I didn’t mention the name of our current governor. We’re done voting against things and arguing about the past. It’s time for a new generation of leaders with a hopeful vision for our future. Together, we will build our Wisconsin into the best place to raise a family and the best place to grow a business. From the Kickapoo Valley to the Kettle Moraine, from Chequamegon to Sheboygan, we will come together and solve our common challenges. I’m Kelda Roys. I ask for your vote on August 14 and November 6. Let’s build a Wisconsin of opportunity and fairness, for our children, for our children’s children — to live in, to thrive in, to be proud of, to call our home. Roys, 38, is a small business owner, attorney, former state representative, and past head of NARAL Pro-Choice Wisconsin who has been standing up for women and families throughout her career. In the Assembly, she stood out as an influential and effective lawmaker, delivering results for working families and helping lead the opposition to Governor Scott Walker’s divisive agenda. As a parent and step-parent of four girls, Roys will fight for paid family leave, affordable childcare, great schools, and quality healthcare for all. In a year in which Wisconsin voters are ready for change, Kelda Roys provides the clearest contrast to Scott Walker. "I’m thrilled to have earned the endorsements of so many local elected officials throughout our great state." "I’m proud to have earned the endorsement of Rep. Sinicki."